The goal of the Castle Rock Chamber’s partnership with Tri-County Health Department is to support local employers with tools and resources to bring wellness to the workplace. An organized initiative intended to support the efforts of employees to reach optimal health. Benefits for both employers and employees! This conference is the best of the West for employee wellness professionals! We have a limited number of free tickets available for eligible employers. Please note that the first to qualify for a ticket are employers (5+ employees) who have completed the Health Links assessment. If you have not completed the assessment, please contact mhaugh@tchd.org to assist you with the process (takes ~ 35 min). Watch the 3-minute video to learn more. Health, Safety & Wellbeing: Taking care of business. Healthy business is a people-centered approach to doing business. Studies show that employers who foster a culture of health and safety at work have healthier, happier employees—and healthier bottom lines, too. By creating a work environment that promotes safety, physical activity, healthy habits, and overall wellbeing, companies can benefit from higher employee satisfaction, increased loyalty, improved productivity, and lower health care costs. Recently, the Chamber partnered with Tri-County Health Department in the Worksite Wellness Initiative. The goal of the initiative is to engage organizations to adopt best practices and policies to provide a healthy workplace environment. This initiative provides resources, assessment tools, counseling, and funding for Chamber member businesses that commit to joining the coalition. 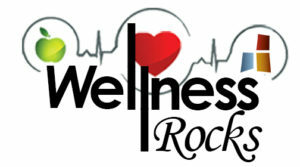 Learn more by attending one of our Wellness Rocks! events or contact Alicia Early for more information. Join other small businesses across Colorado that care about the health and well-being of their employees. The Health Links™ Kick-Start Program can help by providing expert advising on designing a worksite program that’s right for your organization. There’s no cost to apply, and advising is free. Organizations committed to workplace health, safety, and well-being, or looking to kick-start improved health and safety practices, should apply to join our Healthy Business Network. All businesses that complete our assessment are recognized for their commitment to improving their health and safety practices, on a four-tiered scale, and receive one-on-one support from our local advisors to meet their health and safety goals. Qualifying organizations become Certified Healthy Businesses, based on a three-tiered scale of recognition. Before taking the assessment, we suggest all organizations review a checklist outlining what information you will need to complete the questionnaire. We also encourage you to review a sample assessment before submitting the online assessment. This 35-question assessment will gauge how well your organization is promoting workplace health, safety, and well-being based on six benchmarks, the Health Links Standard: organizational support, workplace assessments, health promotion policies and programs, safety policies and programs, engagement, and evaluation. The assessment takes about 30-45 minutes to complete. After completing the assessment, your organization will be recognized at the kick-start, certified, partner, or leader level based on your score. You will receive a report card with a summary of your results and an email from our team to schedule a meeting with a local advisor. Your local advisor work with you one-on-one to set goals and take action. 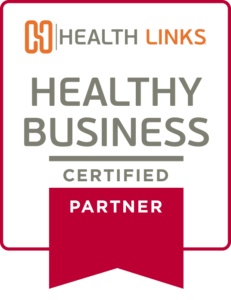 Castle Rock Chamber is a Certified Healthy Business Partner. Certified Healthy Business Partners have been recognized for their comprehensive approach to health and safety. Not only have they established leadership commitment and engaged with their employees, but they are creating tailored programs to reach all of their employees and their families. Welcome to our resource library! Feel free to browse, download and personalize any of these items and use them to promote your company’s worksite wellness program. Have a success story, please share it with us!